Bid for the chance to own a No Reserve: 1963 Mercedes-Benz Unimog 404.1 S at auction with Bring a Trailer, the home of the best vintage and classic cars online. Lot #16,783.
clt has always wanted a uni. Can the zep tow it back from Cali tho? What are you guy’s thoughts on a Deuce and a half? I’ve seen one set up like a tailgate rig before and I figure I could spray paint it 49 different shades of green for the camo. Have a grill speakers and maybe even a covered area up top. Any thoughts or other ideas? You’re going to need a few more shades if you want to represent our color. A uni would be epic, probably trying to get something local though. OK, this is in Raleigh and you could use it to pull over a Matt Stafford statue. Bid for the chance to own a 1979 Volvo C202 Laplander 4×4 at auction with Bring a Trailer, the home of the best vintage and classic cars online. Lot #17,655. Never heard of one of those things… That’s awesome though! Definitely could rock with one of those. Dude, I live in in a family of Jeeps. We have four currently. 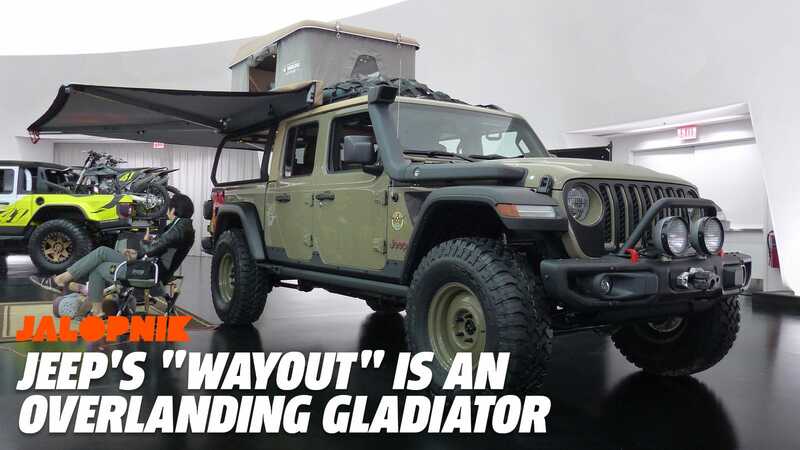 That “wayout” concept is one of the best things they’ve cooked up this far. Would love to have one outfitted like that! Not appropriate to discuss on NN.N. It’s not electric. Bunch of fossil burning Neanderthals!